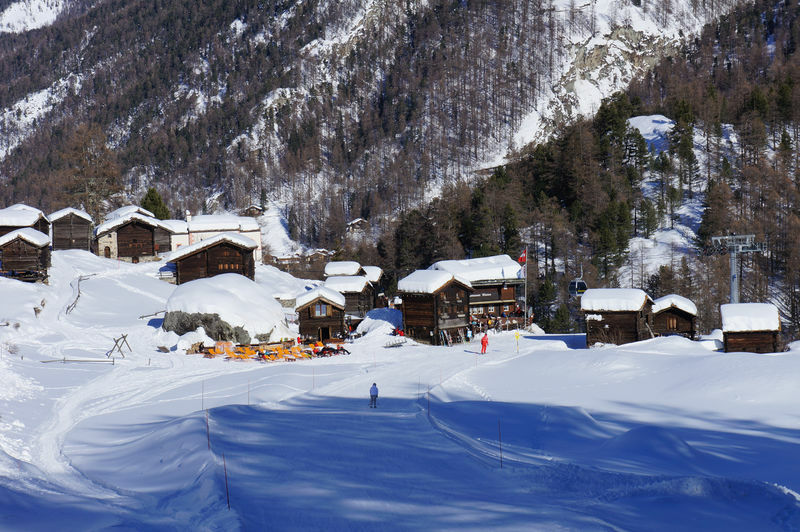 The mountain restaurants at Blatten lie beside the hiking trails and ski pistes. 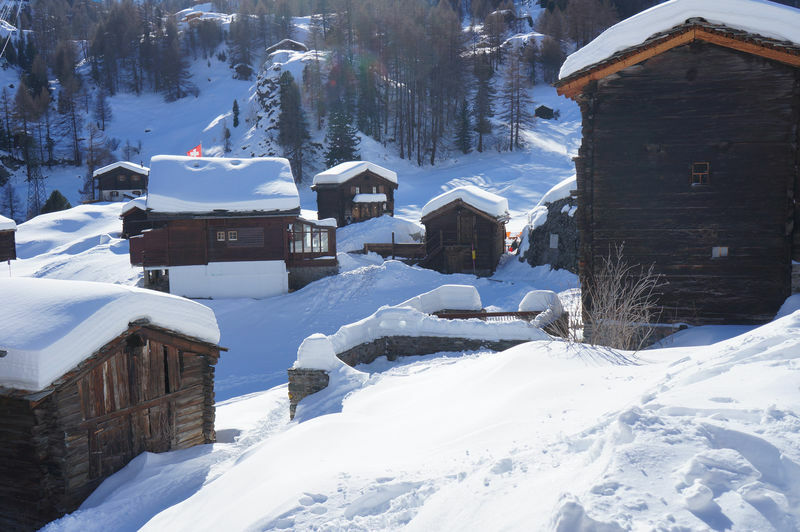 The many old buildings are authentic Walser mountain houses, barns and stores, made of larch wood that has blackened over the centuries. However, it is not so long since tough farming work dominated the summer days of the temporary residents. 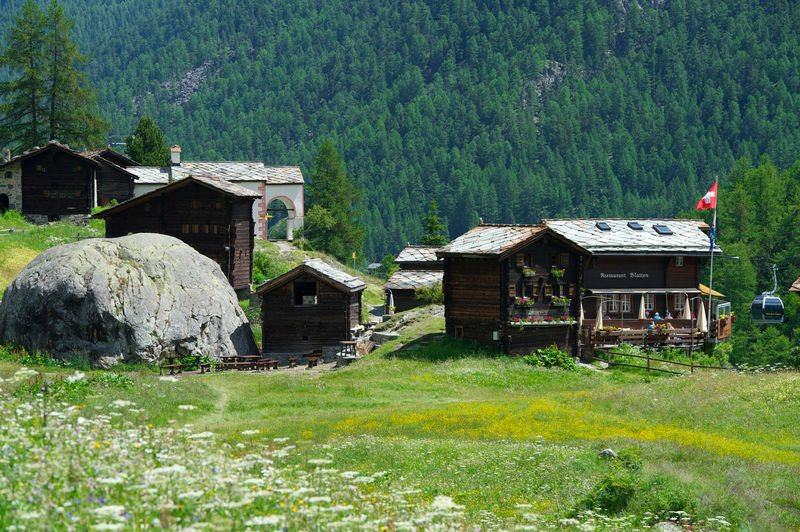 Every year, in early summer, the people of Zermatt drove their livestock up from the valley floor. The milk was made into cheese, or carried daily down to the village. On Sundays, all the mountain farmers went to the chapel for mass.